Ben Birdland has seen a lot in his time, including the worst of the Grand War. But nothing was worse than what he saw as a beat cop in New Meridian. When he ran afoul of his crooked unit he was given a violent early retirement, and his broken body was left to spend the rest of its days in an iron lung. Now a senior member of Lab 8, he’s become a father figure of sort to the younger ASG soldiers. 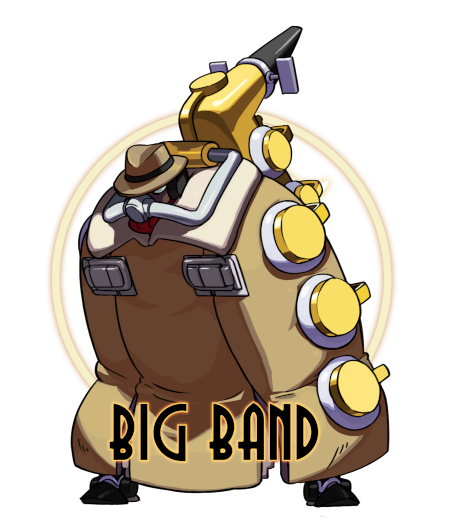 A firm believer in their cause, he has stayed with the project through its controversies and still sees his place on the front lines against the Skullgirl. His technology may be dated, but he more than makes up for it with experience and fortissimo.